This post is all about DIY dorm decor. Want to create such great DIY dorm decor that your friend's are asking you where you bought it from? Decorating such a bland and boring room as a dorm is can be HARD. I mean, there's only so much you can buy for a dorm room without feeling like you've bought enough things to furnish a whole house with! These college dorm room DIY ideas will help you save money while creating a room that people are jealous of. 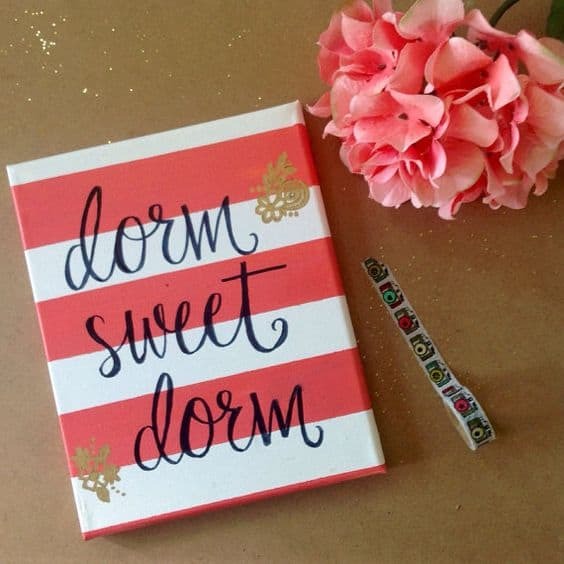 This post shows you 27 insanely cute DIY dorm decor to make for your own dorm room. First, I know this picture is a queen bed but using just one of these doors fits pretty perfectly for a twin XL bed! This dorm room DIY idea may seem like a lot, but I promise it can actually be very easy, fun, and cute to do! If you're wondering where to get doors for this DIY dorm craft, check your local antique or resell shops, there are always some great finds there! From there, cut it and sand it down (get dad to help you -- this would be such a fun DIY to do before you leave omg!) and stain it to the color you desire. Voila! 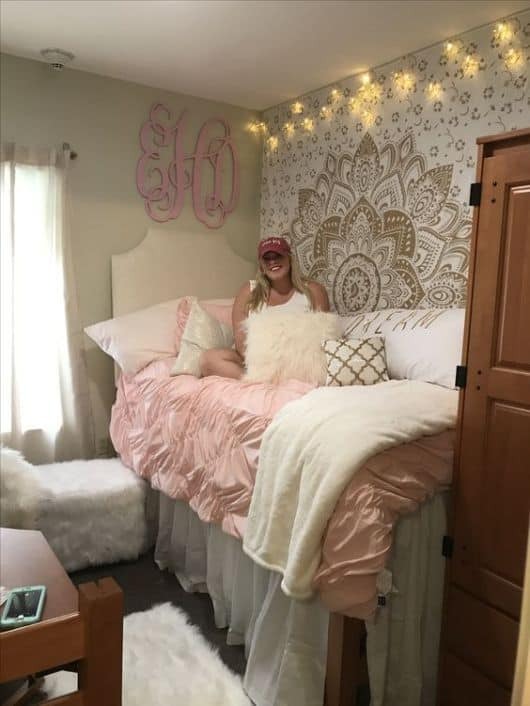 A unique and cute headboard for your dorm space! 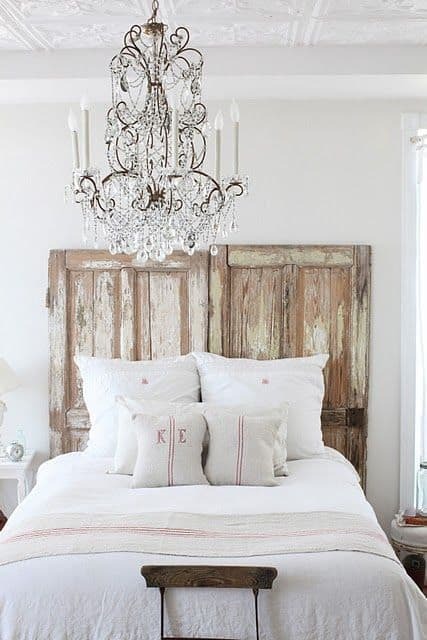 2. or use wood slats to make headboards! If doors are too hard to come across, go pick up some wood from your local home improvement store to make another kind of wooden headboard. Screw them together and stain it and boom! headboard done. 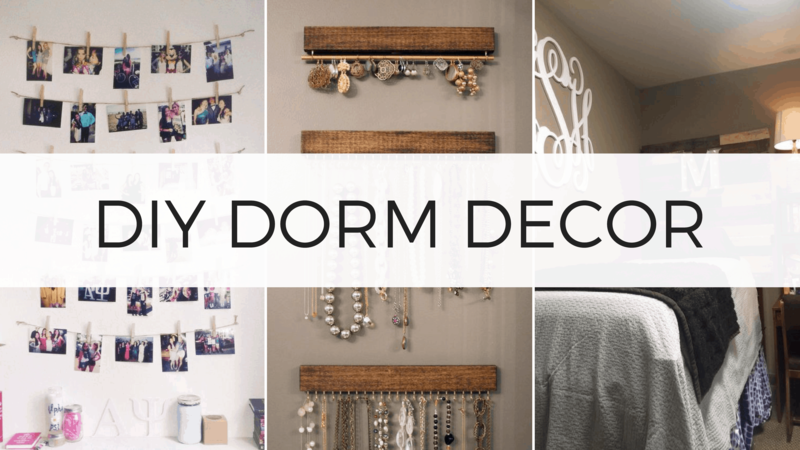 This DIY dorm idea is another great way to spice up your dorm room and make it your own! Textbooks are an essential of college, and you're not going to want to carry them all around all day. Thus, you're going to have to have a place to store them! A simple way to create space on a shelf for your books and textbooks is by creating bookends for them. A great way to do this is by getting two bricks and either covering them with fabric, or spray painting them a specific color. Regardless, this DIY dorm idea is super easy and quick and creates a very useful storage idea! PS! 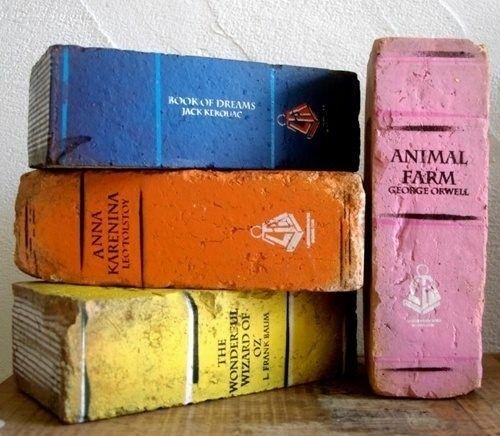 We also love using bricks as door stoppers so your door stays open (remember, such a great way to make friends!). Here at BSL, we are ALL about closet space saving hacks! One down side of college is the closet space that comes with dorms. Granted, college students will primarily wear t-shirts, shorts, and leggings 95% of the time, but you cannot convince the college freshman of that at all (VERY guilty of this freshman year). So how do these freshman make enough space in their dorm closet for all of the clothes they're convinced they need? By making "hanger chains". These are very quick and easy way to maximize what can go into a closet. 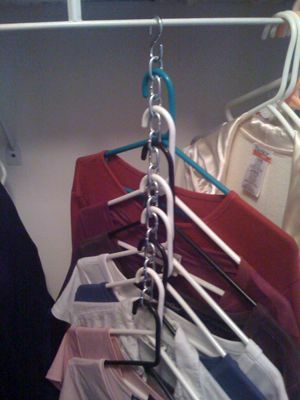 All it takes are some links and some hangers (we strongly recommend velvet hangers) to create this great DIY dorm idea! Canvases are a great DIY dorm idea because they allow you to "unleash your inner artist" as James Charles would say and add your own twist to the small dorm you're given. Hang them on doors or as wall decor, canvases are a great, personal way to decorate your dorm room on your own! We also love buying a pack of canvases and inviting all your closet high school friends over for a painting party. That way you can each have a reminder of each other in your dorms when you go to college! Some dorm rooms come with desks that have shelves already attached. 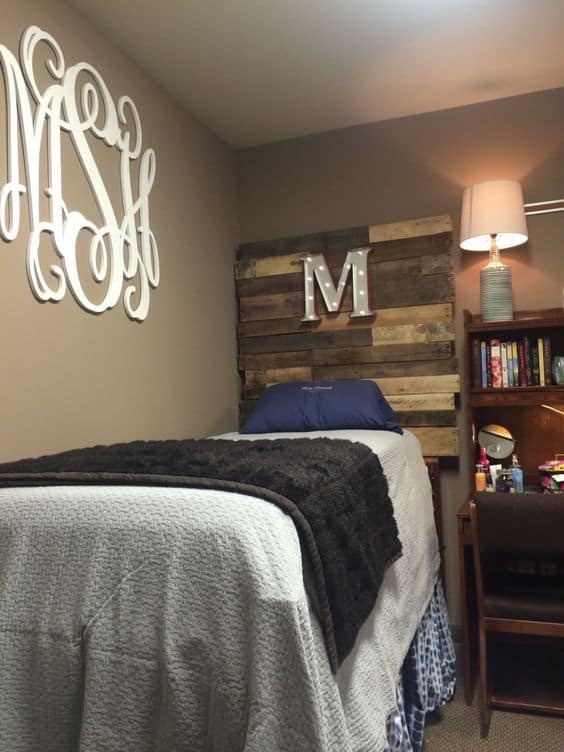 Others don't have that luxury, so this DIY dorm idea is for you! 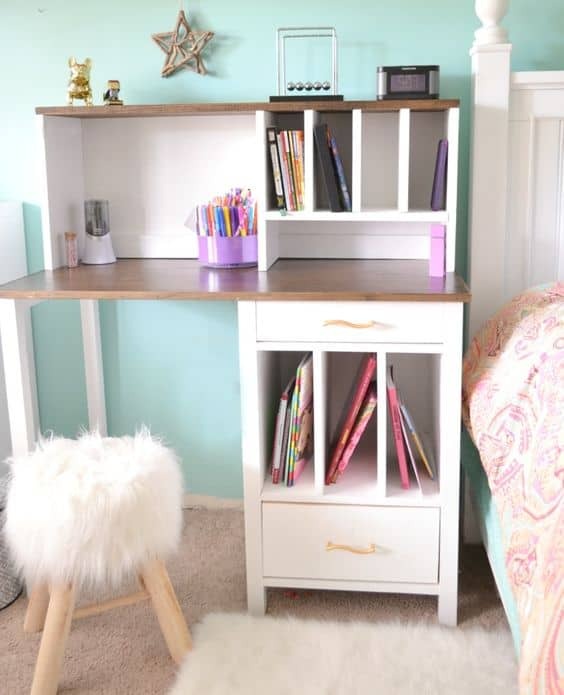 Another project you and your dad can do together with wood, make desk hutches! Desk hutches are a life-saver in the dorm room, so make sure you have everything you need from it by making your own! This is an awesome dorm room hutch tutorial. Ah yes, caffeine, the bloodline of any college student. Coffee, and mugs to pour coffee into, are a necessity for any college student. But coffee mugs can be very expensive. But no worries, there's a DIY solution to that! 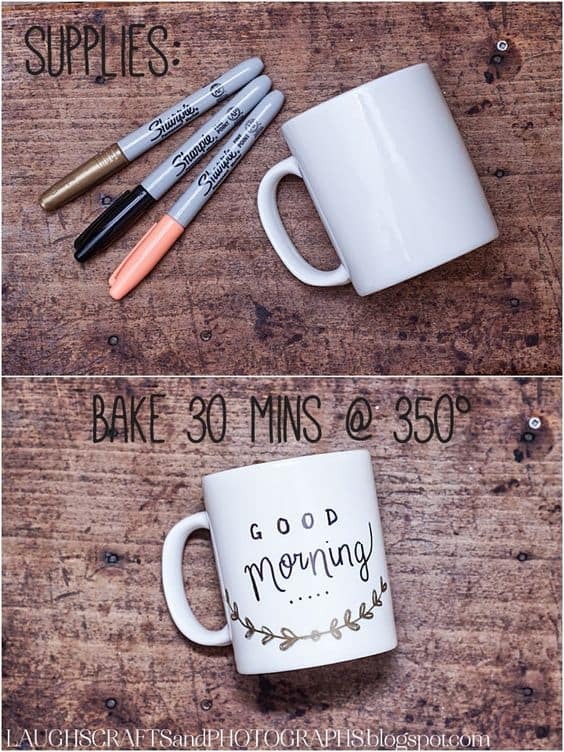 Grab some cheap white mugs, and sharpies and decorate your own mugs. Then bake them in the oven for 30 minutes at 350 degrees. Then you have fun, unique mugs that will make for great instagram stories when you want to show the world you're studying hard. 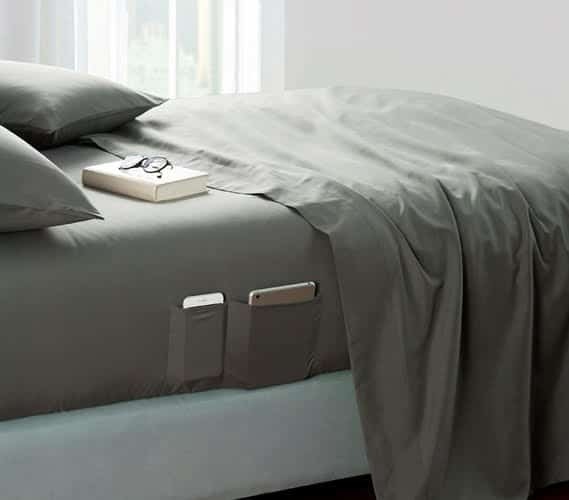 This is DIY idea that might only work if you have solid colored sheets. But find fabric the some color and sew a pocket in the sides! Doing this is a great DIY dorm idea because it allows you to put your book or your phone in the side of your bed right before you go to sleep so that when you wake up in the morning you're not worried about where they went in the night! Another great DIY dorm idea is to build some cubbies for extra storage. This can be done with wood or by purchasing plastic crates and stacking them on top of each other. Regardless, making cubbies for your dorm room gives you an extra space option that many dorm rooms do not come with! For building this with wood, we recommend this tutorial. This DIY dorm room idea is such a trend right now, and is super easy to make! Simply get some card board and copy your monogram onto it. Cut it out, spray paint it and attach some ribbon for a super cute decoration for over your bed! As I stated before, storage in dorms in LIMITED! Shoes are often very hard to figure out what to do with. If you're in this boat, make an ottoman that has a space for shoes. 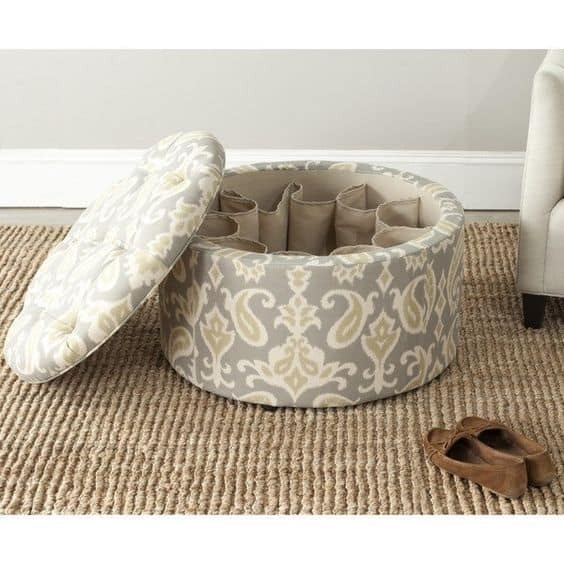 Build your own or buy and ottoman with storage and make sleeve pockets out of fabric. Not only does this give guests more sitting options, but also provides you with a creative way to store your shoes. It's a win win for everyone! Ok HOW CUTE is this idea! It might look a little tricky, but it is actually very simple to do once you get the hang of it. 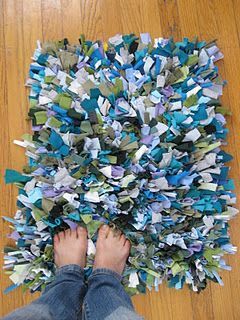 Just buy some yarn, roll and cut it, and place it through a plastic cutout for a very cute and soft welcome mat or bath mat for your dorm room! 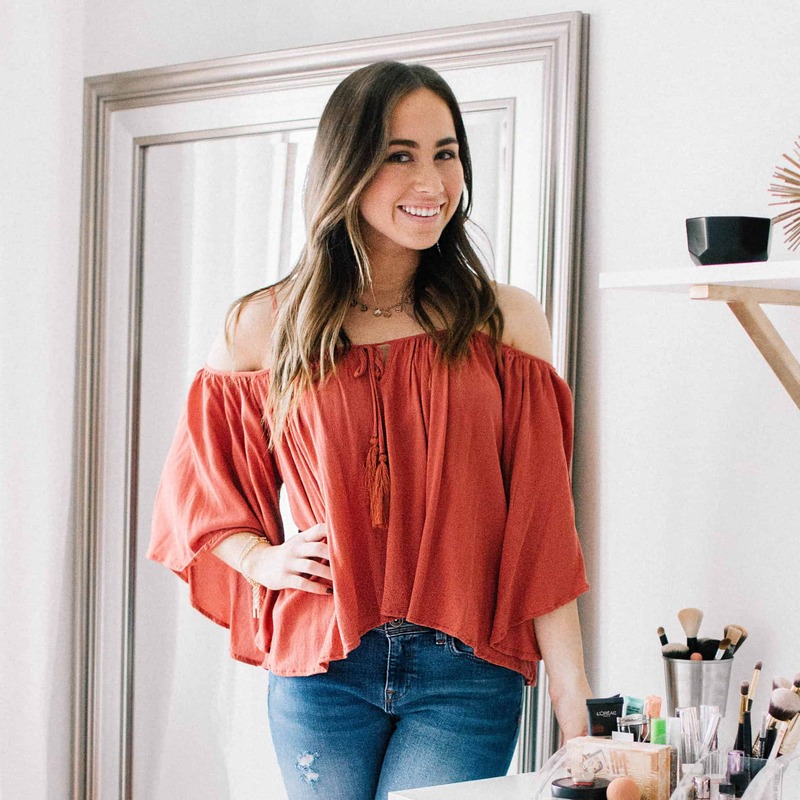 This dorm room DIY is so insanely simple you'd be a fool to not do it! 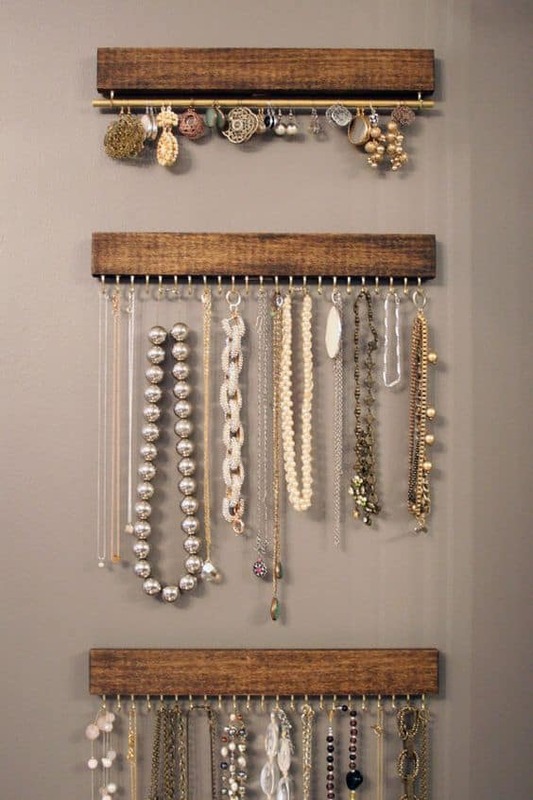 Make a jewelry organizer out wood and inserted hooks and hang it in your closet. That way, your jewelry is where your clothes are so you never leave without being accessorized! and BONUS! there's a place for everything when you get back. You can't go wrong with this DIY. Bet you never thought of this idea before! At first glance, I know this looks weird, but it is an effective and easy dorm room DIY that any girl is sure to love! Just grab a cheese grader (clean please!) spray paint it and pin your earrings to it. This is not only a fun decoration piece, but also a great way to store those super tiny pieces of jewelry that we all can't help but lose from time to time! Every college student wants photos somewhere in their room. A great way to incorporate all those photos is to turn it into a fun DIY dorm room project! Make a photo wall that mirrors a clothes line. Grab some twine and small clothes pins like these from Amazon and use them to hang up your photos. 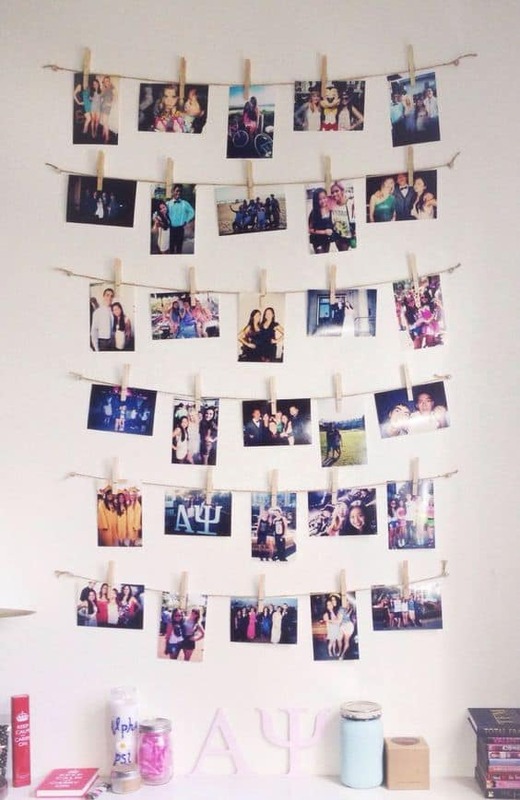 It's a great way to use up some wall space as well as remember all of the fun memories you're making during college! If the clothes line photo wall isn't your thing, fear not! 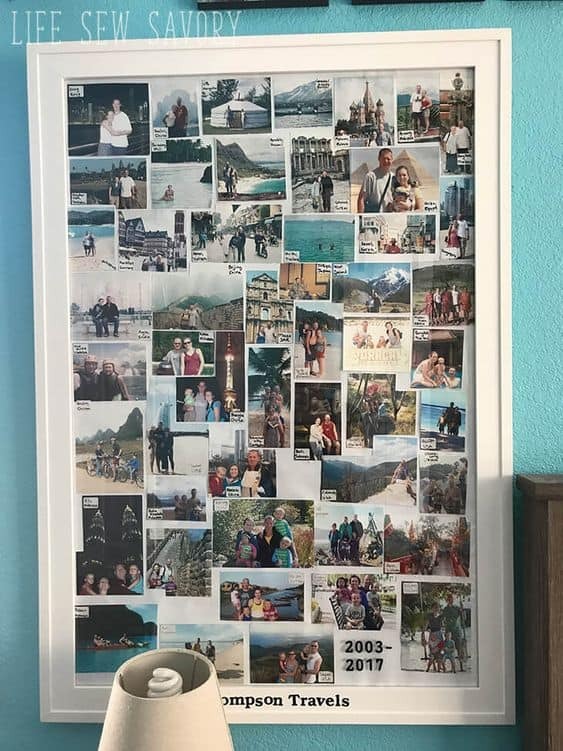 Another way to incorporate photos into your room while keeping with this DIY dorm room theme is to make a photo collage. You can make it online and send it to print or make it with already printed photos and modge podge. Either way, frame it once your done and hang it on your wall in your dorm room! Another "how did someone come up with this" tip, I know. But if you go for this fun and unique DIY dorm room craft, you'll be thanking that person! College kids do not want to go around repping their high school, cause that's so last year, right? Right! Put at the same time those high school t-shirts don't need to be donated to Goodwill. 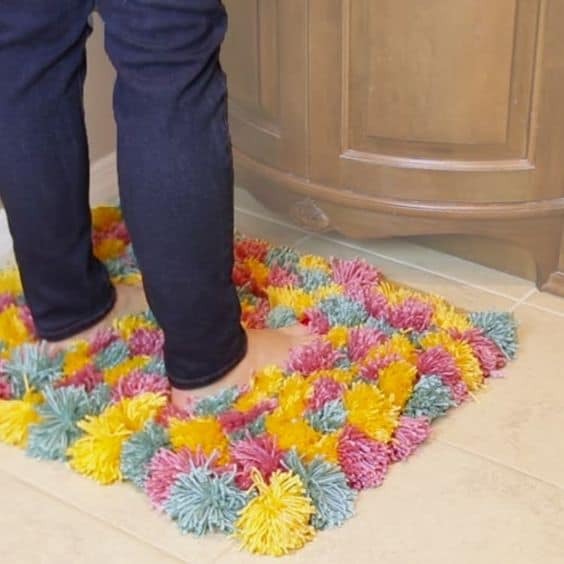 Put them to use by making a rug of out them so that the college student already remembers where they came from before they go out. College comes with papers on papers on papers, and a lot of times college students do not know where to store them in their tiny dorm room. 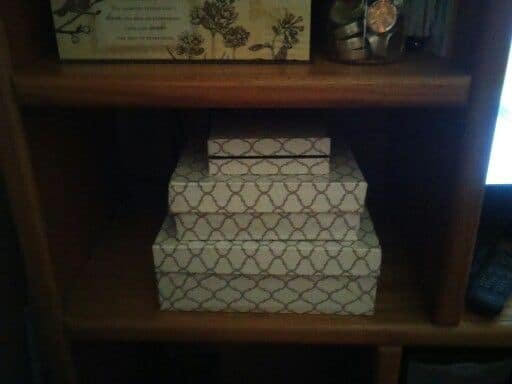 That's where shoeboxes come in, yes those things you get when you purchase a new pair of shoes and just end up throwing away. Don't throw them away! 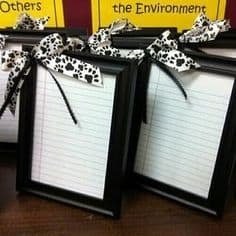 Decorate them and send them with the college kid so that they have a nice way to keep everything organized. This DIY dorm idea is sure to be a lifesaver on SEVERAL occasions. Another very trendy item that is oh so expensive are neon signs. But fear not! There is a DIY alternative to them, too! Pinterest has so many ways to make your own like this one above that there is no need to go spend over $100 at Urban Outfitters on one. 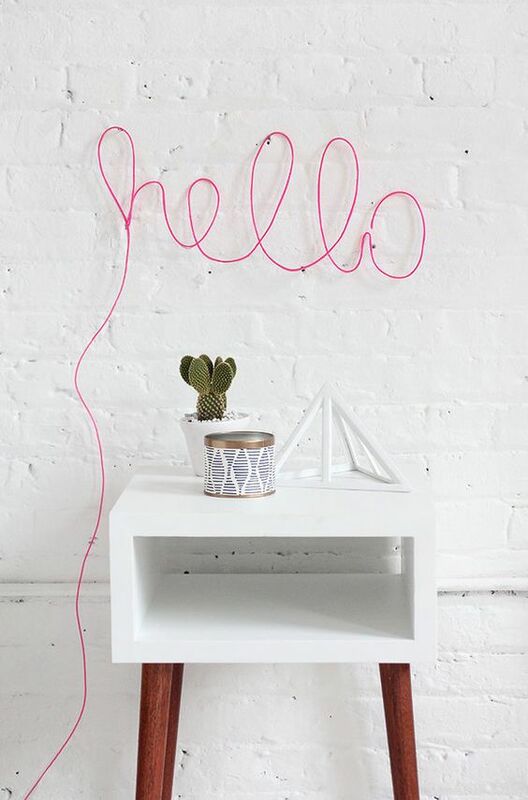 And, this way you can make your neon sign just like you want it. This DIY dorm room idea will keep you and your wallet very happy! We are pretty obsessed with this tutorial. Pens, pencils, highlighters, all college essentials that are again, difficult to organize. But this DIY dorm room idea fixes all of that in a super simple way. 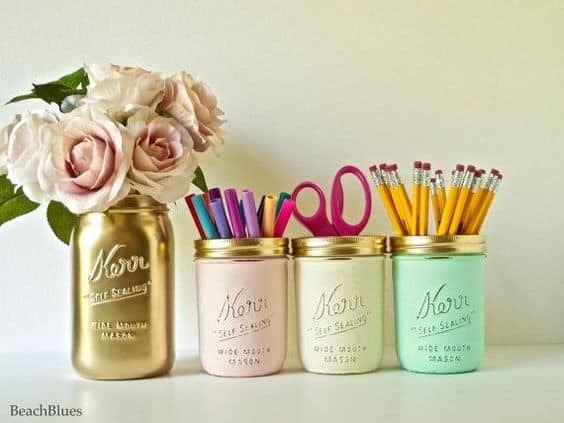 Just buy some mason jars, paint them and place them on your desk for a way to keep all your writing utensils separate, yet all in one place! Momentos are a huge part of college, but are another hard thing to find a place for. 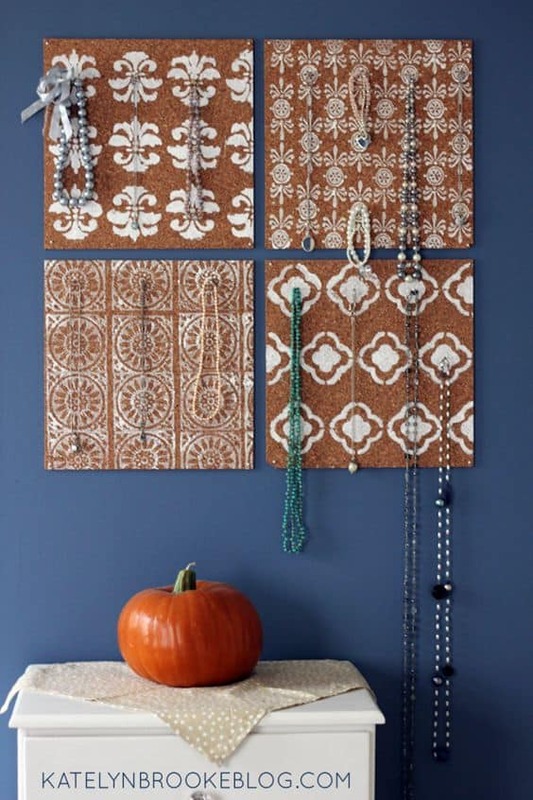 Change that idea with a decorated cork board! Paint it or use washi tape, and then hang it up on your wall. Not only does this decorate some of that awful wall space, but it also gives your momentos a place for safe-keeping as well! The one thing my mom nagged me most about before college was setting things on a coaster. "If you don't there will be a ring and the furniture will be ruined!" If your mom was the same way, then coasters will be a must for you, your roommate, and all of your guests. 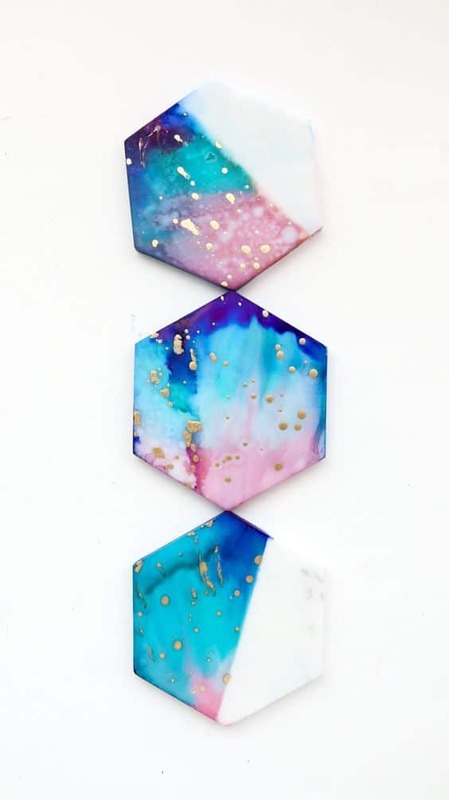 Make them match your dorm by making them on your own! 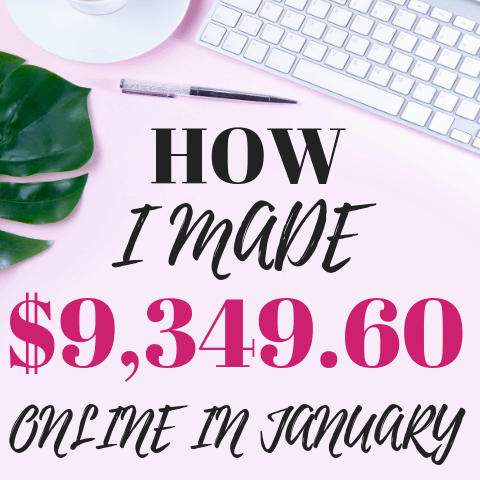 Pinterest has some great ideas for this, so be sure to check it out. You, and your mom, will be glad you did! Here is the tutorial to make the coasters in the photo above. Sometimes we need to write stuff down, but we don't want to waste an entire piece of paper on it. This is where a white board comes in handy, and you guessed it, can be made as a DIY for your dorm room! Just grab a cute picture frame and insert a fun piece of paper where a photo would normally be. Place it on your desk for an easy and erasable to do or reminder list! This dorm DIY will save you later on, that's for sure! I also think this would be cute to write motivational quotes in cute handwriting, too! 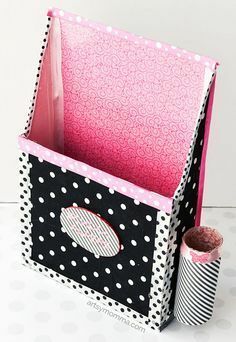 Cut some cereal boxes in the shape of organizers and paint them. Place them on your desk or in your shelves as an organizer of folders and random paperwork. This dorm DIY not only saves you money, but is another great way to transform and maximize the space you're given in that small dorm room! This might be my favorite dorm room DIY, and it's so easy to make! Just grab some paint chips from Home Depot or Lowe's and glue them to a piece of poster board. Frame the whole thing, grab some dry erase markers and BAM! 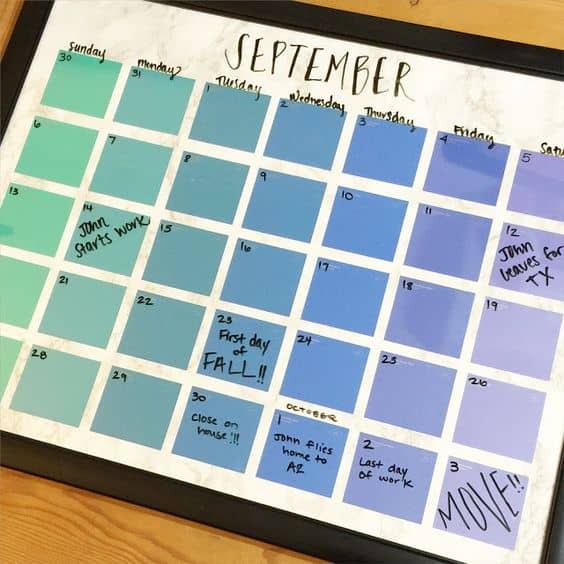 you have a cute wall calendar that is sure to keep you up to date and organized! 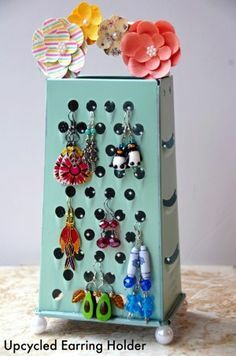 A college girl needs a place to store her jewelry, besides the earrings in a cheese grader (which is still GENIUS, btw). But for necklaces and bracelets, something else must be done. And something CAN be done, DIY style of course! 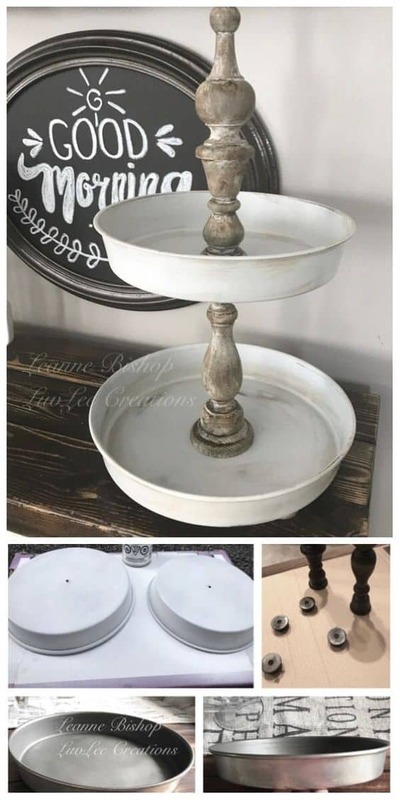 Make a tiered tray by using a candle holder and some plastic plates you can cut a hole in. This fun dorm room DIY allows you to keep all other jewelry in one place so that there is no chance of it getting lost anywhere in your tiny space! An Extraordinary Day has an awesome tutorial on this. 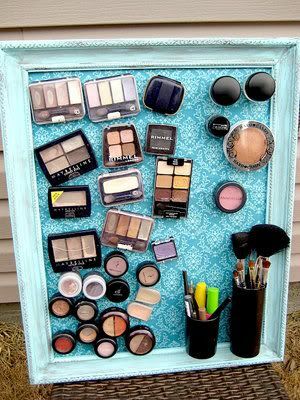 Another great way to take up wall space and store something all in one is by making a DIY magnetic makeup board. This keeps all your makeup in one place and allows you to use your shelves and drawers for more important, school related things. 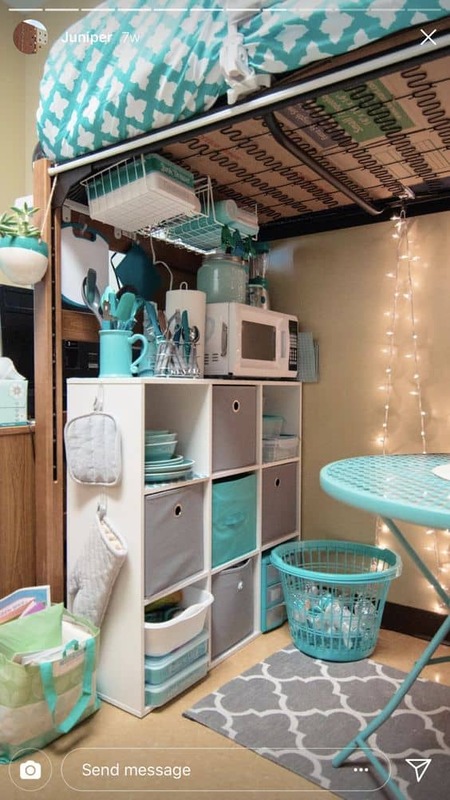 You get the best of both worlds with this dorm room DIY, Hannah Montana would be PROUD! This post was all about the best DIY dorm decor.